Metalife's Hard Chrome Plating is a proprietary process established in 1964. Our hard chrome plating is bonded at a molecular level and has a 100% guaranteed bond. Quality comes first with Metalife and our Hard Chrome plating tank is strictly regulated. Because of this our plating surface will be 99.4% pure as deposited. Our Hard Chrome plating overcomes conventional hard chrome weaknesses which can lead to immediate failure. 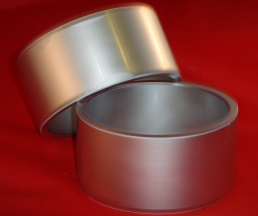 Metalife hard chrome plating will not affect a build-up of more than .00005" to .0005" under normal circumstances. The nodular structure of our Hard Chrome reduces the coefficient of friction substantially compared to other coatings. Our hard chrome plating has a coefficient of friction rating of .12 to .16 depending on the application. Metalife Hard Chrome resists attack by almost all organic or inorganic compounds except sulphuric and hydrochloric (muratic) acids. It shows no reaction in 48 hours with seawater, aerated seawater, or aerated rainwater. 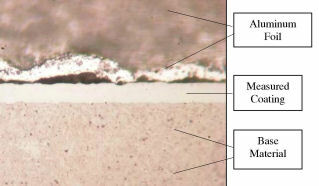 The surface shall be completely uniform as shown in the microscopic picture at the right (click here to read the entire test report). The temperature of Metalife's processing solution is 136° F, however the process will withstand temperatures from -400° to 1800° F.
The tensile, yield and fatigue properties of the metal to be plated shall not be significantly affected by the process. The cost is governed by the condition, configuration and surface area of a part. Prices may be determined by your drawing or by processing of a test part. Powder Metal production parts, all ferrous and non-ferrous metals that are commonly machine wrought or cast and steel, brass, copper, etc. can be processed.